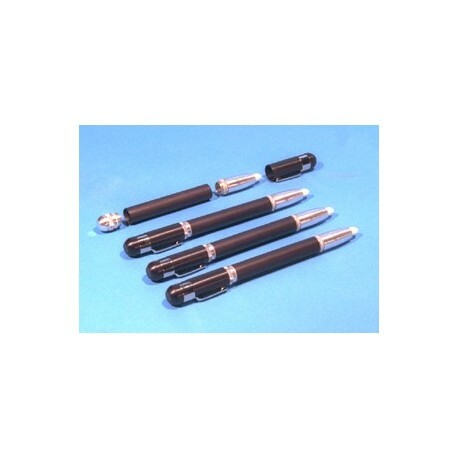 These black, aluminum, CON-TROL-CURE REFILLABLE MARKERS are pocket-sized and have a clip for portability. To feed the marker more ink, just press down on the round 3/8" felt tip. The choice of replacement tips available makes the Refillable Marker long-lasting and versatile. Packaged by the dozen, replacement nibs come in 2 styles: Fineline Chisel Felt Tips, and Chisel Point Felt Tips. The Refillable Marker has an ink capacity of 1/3 oz. 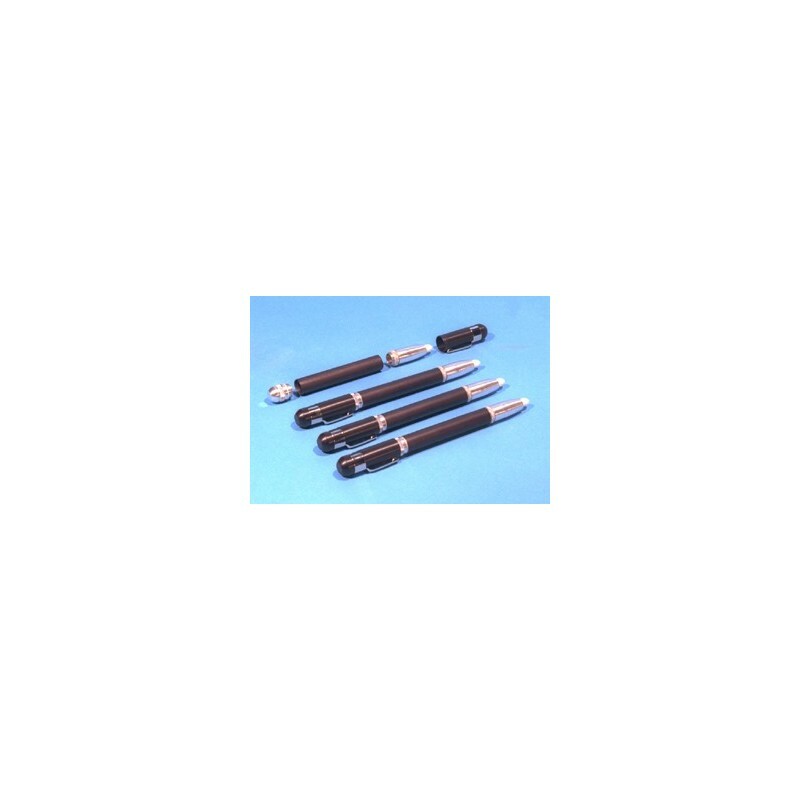 The pen can be used for fluorescent and invisible ink application. Universal type FD ink for all-purpose marking can also be used. 6" overall pen length.